For a whole month, the Breedekloof Wine Valley will celebrate all it has accomplished this year. Join us for #CelebrateBreedekloof and experience some of the best wines in the country! 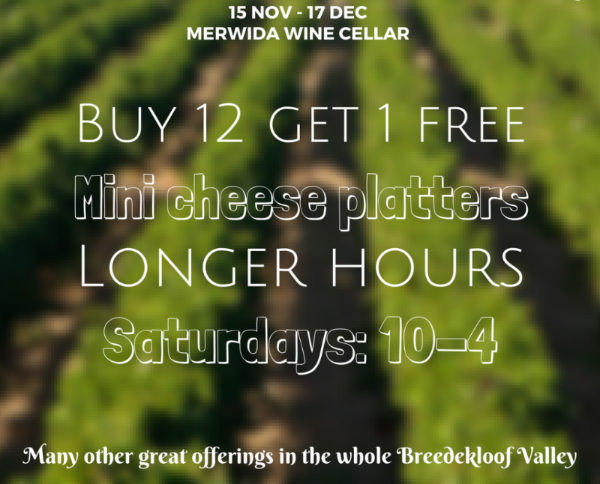 And what’s the best of it all – you will be able to taste Merwida’s wines from 10am until 4pm, on Saturdays!